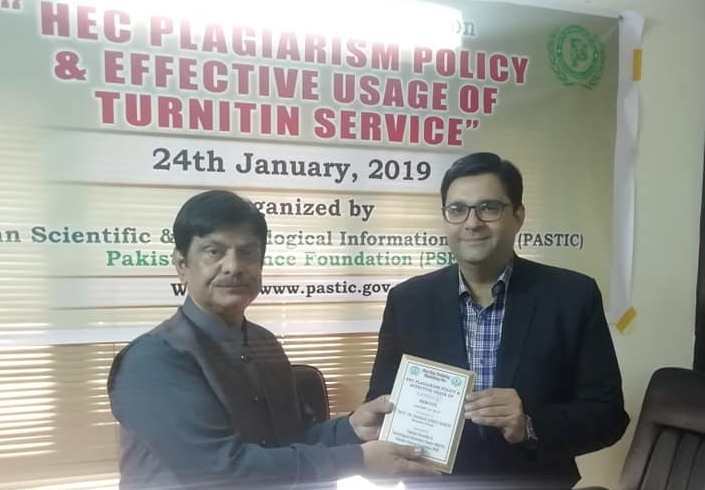 PASTIC Sub Centre Karachi arranged One day training Workshop on "HEC Plagiarism Policy & Effective Usage of Turnitin Service" at PASTIC Sub Centre Karachi on 24th January 2019. 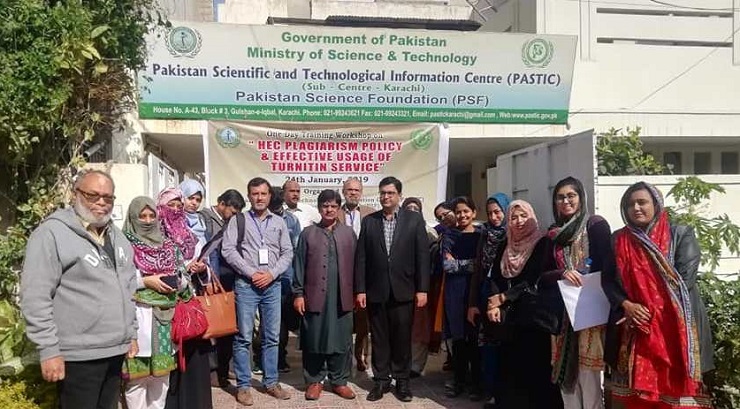 Participants from different universities and institutes like National Institute of Blood Disease & Bone Marrow Transplantation, University of Sindh Jamshoro, University of Karachi, Sindh Madarsatul Islam University, Jinnah Medical & Dental College, Dow University of Health Science, Dawood University of Engineering & Technology, Iqra University etc attended the training workshop. Prof. Dr. Shahzad Ahmed Memon Resource Person from Quality Enhancement Cell, University of Sindh, Jamshoro has given training on Turnitin.